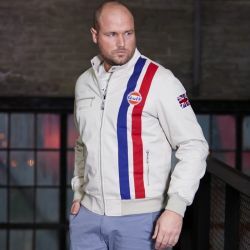 Jacket to celebrate Derek Bella's five-time winning at Le Mans. GULF logo embroidered to the left chest. Zip fastening. 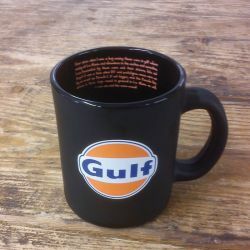 Drink your daily beverage in this GULF mug. 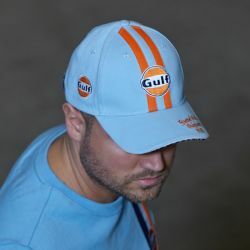 GULF cap with logo embroidered on the right. Red racing stripe on the middle of the cap. Adjustable size. 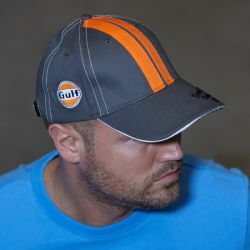 GULF cap with logo embroidered on the sides and on the front. Orange racing stripe on the middle of the cap. Kid adjustable size.